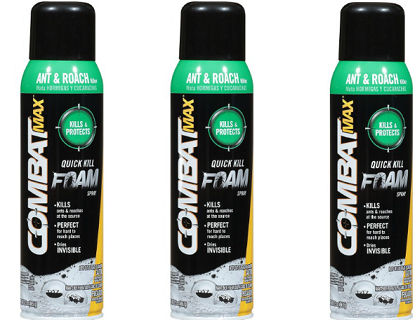 Try Combat Quick Kill Foam Spray for FREE with this mail-in rebate offer! Find this product at Walmart, Publix, Dollar General, Kroger and possibly other stores. Purchase a qualifying Combat Ant & Roach Quick Kill Foam Spray and mail in the receipt along with the rebate form to receive a complete refund of your purchase price – up to $4.99! Allow 6-8 weeks for delivery of your refund.